Seems like another good example of Google addressing the needs of its search users in the most optimal way. By meeting their needs, Google is staying true to its mission of organizing the world's information. Most people start any travel search on Google so why not optimize this experience to direct better queries to companies that issue tickets? Why is a Product Manager the only one who is responding to these concerns? There are serious antitrust worries, and yet there is nothing from the Competition Team about why Google believes that this acquisition is consistent with a healthy respect for competition in the online travel space. It sounds like a whole lot of sour grapes whining to me. boo freaking hoo, Google is being mean to us! Will Google some day merge all this data with data it has illegally harvested from street view sweeps? Oh, and if we consumers don't like Google's travel data, should we "just move" like your CEO suggested? Donald you're being ridiculous! Google made a mistake and they are paying for it. Personally, I love what Google is doing. It makes my life that much easier, and it's very simple to use. As a consumer, that's all I care about to be honest. May the best model win, in my opinion. Sounds similar to how Microsoft made everything easier with its Windows Monopoly. I wonder how Netscape feels. Just run everything through our search engine and everything will be OK. We promise. It is my understanding that the average leisure travel search comprises 22+ sites across 9 sessions. This seems to indicate that there is a substantial opportunity to streamline the travel search process. Online travel agencies and global distribution systems have been slow to innovate - Google's entry into the sector is logical. If Google holds to form, they will democratize the information and enable 3rd party developers to innovate. 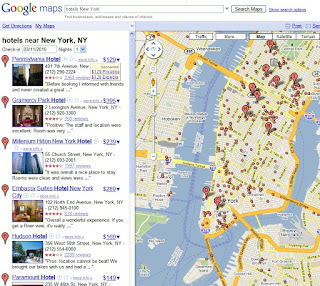 If Google takes that approach, this will be a very positive move for the travel industry. Please answer this: if Google is not "choosing winners and losers in online travel" then why have you not offered to renew contracts with current ITA customers such as Kayak etc? I don't see what all the complaints are about. Google's never given me any reason to distrust them before. They are currently one of the most innovative companies in the Information Technology industry today. It seems everything they touch turns to gold, so I expect the same thing with ITA. It's called undue righteous indignation, people! I am a travel agency owner in Montreal. I have been in the biz for 30 years. I have no love of online travel companies like Expedia and Travelocity et al. Having said that, what Google has done is strategically setting the future course for their success in the online travel business. Yes they will succeed and be the leader. This is why there is such an uproar by the Expedia's of the world...they fear a better product and finally some real competition. Many of the huge online travel companies are losing millions of dollars and will fold regardless. The margins are too slim which the online companies themselves caused in our industry. Now only the smart, well executed will survive that game. And Google has the brain trust and stack of gold bars to do it right. I wish Andrew Silverman and Google the best of success with the new product. Does anyone--ANYONE--think that current air travel prices are reasonable? They are not and they haven't been for years. Airlines gouge customers constantly through obfuscation and unclear pricing structures. This won't help the airlines, but it will help us. I'm all for Google helping the airlines become a little more transparent and in that way, a little more competitive. @Even I agree with you and with most of the positive comments here. The current system is just madness. In order to find a "good deal", you have to be a nuclear scientist. According to ITA's web-site the following members of the opposing consortium are current ITA customers: Kaya/Sidestep, Hotwire and Tripadvisor. Travelocity and Expedia are not listed on ITA's site, but their competitor, Orbitz/Cheaptickets is. Farelogix and Sabre are ITA competitors. Note the absence of any direct product supplier (airline) from the consortium. This opposition is not about consumer protection; the purpose of this consortium is to protect their own bottom line. A Google/ITA combination will bring the consumer closer to the product; "buy direct" has never been a bad thing for consumers - and neither has competition. So let's let the DOJ do its job - hopefully with minimal lobbyist influence. I agree with it . Google understands the needs of its user in the most optimal way. This seems to indicate that there is a substantial opportunity to streamline the travel search process like shopping coupons. Why would/should Google offer to renew contracts ahead of the normal renewal negotiations period? Google has as much right to negotiate as tough as ITA does. I am a hotelier. OTAs make little profit from booking flights and auto rentals. The real prize is HOTEL bookings...OTAs make close to 25% of the gross hotel bookings...that's clearly "gouging" and the consumer pays for it. Over 60% of profit come from HOTELs so airlines and auto rental business is almost like a loss leader. Since OTAs attract customers primarily by providing airline bookings, if Google directs away airline buyer traffic away from OTA and drives it directly to the supplier....OTAs WILL NOT SURVIVE!!!! It's almost embarrassing to see them whine with such lies. 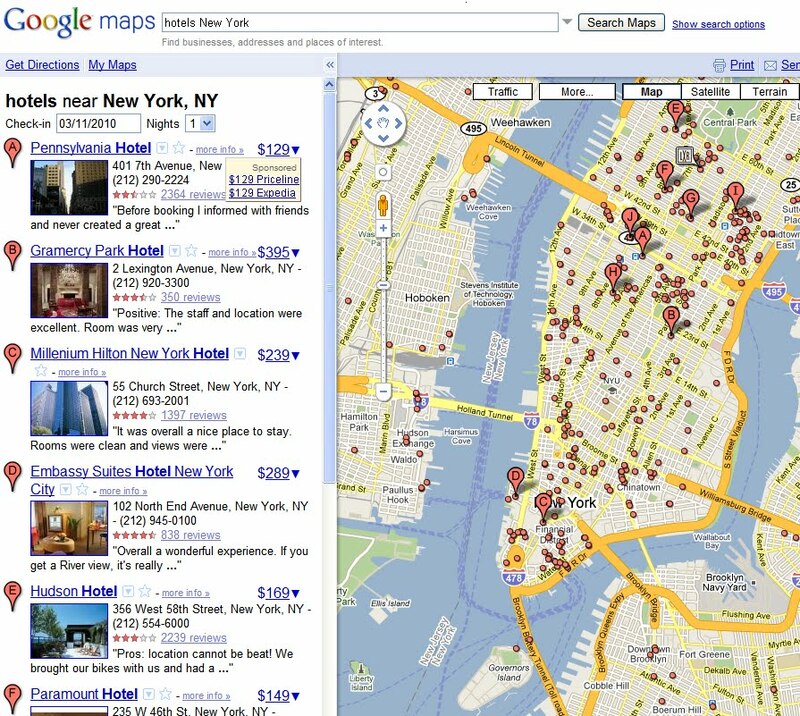 HOTELs will make more profit initially but GOOGLE driven price competition will drive hotel prices down and ultimately that 25% of gross hotel revenue that OTAs steal right now will eventually find its way down to the consumer....CONSUMERS WIN IF GOOGLE ELIMINATES OTA POWER!